A Trevor Gerling hat-trick led the CBR Brave to a 6:2 victory over Melbourne Ice at the O’Brien Group Arena Sunday night. 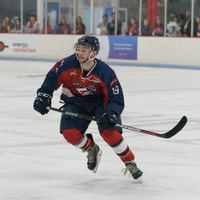 The Brave will face Melbourne Mustangs in the first semi-final September 1st, after they held off a late challenge by the Sydney Ice Dogs to secure their AIHL Finals’ ticket with a 3:2 victory. After a 7:0 demolition over Melbourne the previous evening, the win on Sunday ensured CBR Brave set the AIHL record for most points in the AIHL regular season with 72 points from 28 games – a benchmark established by the Ice a year prior with 71 points. It seemed somewhat poetic that it was the Brave breaking the Ice’s record in their own building, the week before the AIHL Finals. The Brave poured on the offence in the first period with the Ice’s Jaden Pine-Murphy called into action early, making several saves on Hayden Dawes, Wehebe Darge and Chris Leveille. However, it was just a matter of time before the Brave would crack the Ice defence. Gerling opened the scoring with 3:22 remaining in the period, after a sublime set-up from Joey Hughes left Pine-Murphy isolated and it was 1:0 Brave. It was nearly 2:0 a minute later after the Brave had a goal waved off, when Leveille deflected in an effort from Darge but it was ruled kicked in. It finished 1:0 at the first intermission, but it was the second period where the Brave would put the Ice to the sword. Gerling got his second just two minutes into the period to make it 2:0, before Mitch Henning grabbed his second goal of the year just over a minute later to make it 3:0 and silence the O’Brien Group Arena faithful. Darge notched his 22nd of the year with 6:35 remaining before Gerling completed the hat-trick on the power play, after a slashing penalty to Nathan Chai. 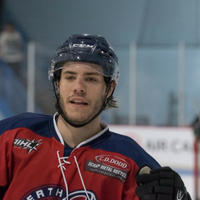 It was 5:0 Brave and Gerling had a hand and four fingers on the 2018 AIHL scoring title at 67 points. Despite being outshot 22-6 across two periods the Ice showed some resistance late in the game, but it was scant consolation in the greater context of the evening and indeed, the season. 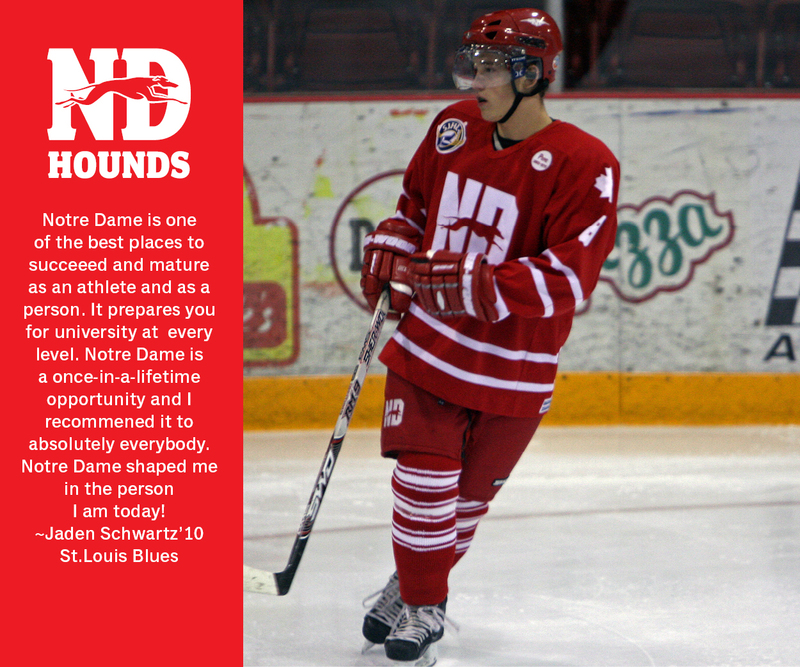 Hayden Dawes made it 6:0 to the H. Newman Reid trophy winners with 17:36 to go in the third and it looked like the previous evening’s 7:0 effort would be surpassed. That was until Matt Armstrong broke the shutout bid of Matt Hewitt with his 7th goal of the season to make it 6:1. Cass Delsar then added his 6th of the year just two minutes later to make it 6:2 in a chippy third period between the two rivals. 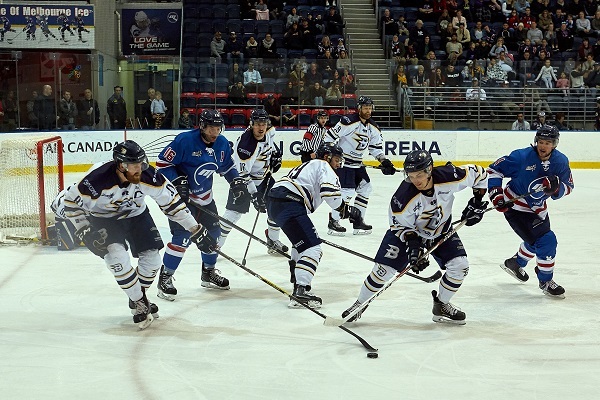 Both teams exercised restraint and with no further change to the score line the Brave skated away with a 6:2 victory and took a full six points for the first time ever in Melbourne. Hewitt stopped 16 of 18 in the win. Pine-Murphy turned aside 33 of 39 in the loss. 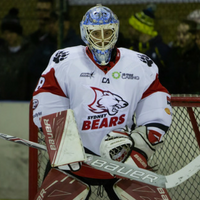 Hewitt cemented his record set earlier for most wins by a goaltender in an AIHL season, finishing 2018 with 23 wins from 26 games. 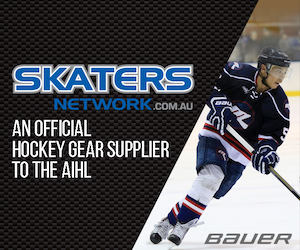 Gerling would only be denied the 2018 AIHL scoring title by the Perth Thunder’s Pier-Olivier Grandmaison, who scored with three seconds remaining against the Newcastle Northstars to tie Gerling on 67 points and share the honours. Brave coach Rob Starke was pleased with his team’s comprehensive performance. “We had full control of the game from the outset and apart from a couple of minutes in the third period we dominated,” said Starke. 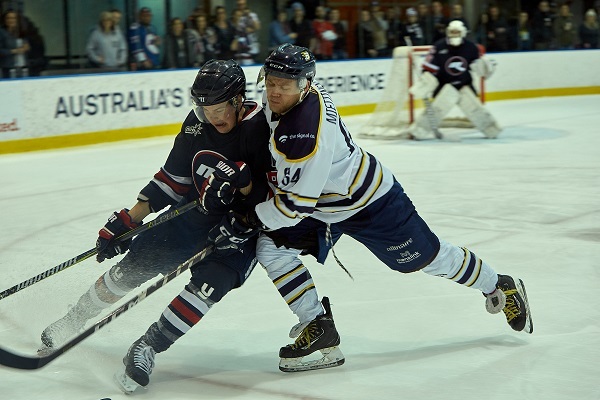 It was not until later in the evening that the Brave would know who their opposition for the AIHL Finals would be, but Starke was unfazed by who they would come up against on the final weekend of the season. The CBR Brave will take on the Melbourne Mustangs in the first semi-final of the AIHL Finals at 3pm on Saturday 1st September.